Munich - An oversized squad was the stick with which many criticised under-performing VfL Wolfsburg last season, but as the 2013/14 campaign approaches, it would appear the Wolves' healthy number of bodies has given fans hope of a promising year. Boosted by some astute new arrivals and a handful of hungry loan returnees, the squad boasts healthy competition for places in every position. 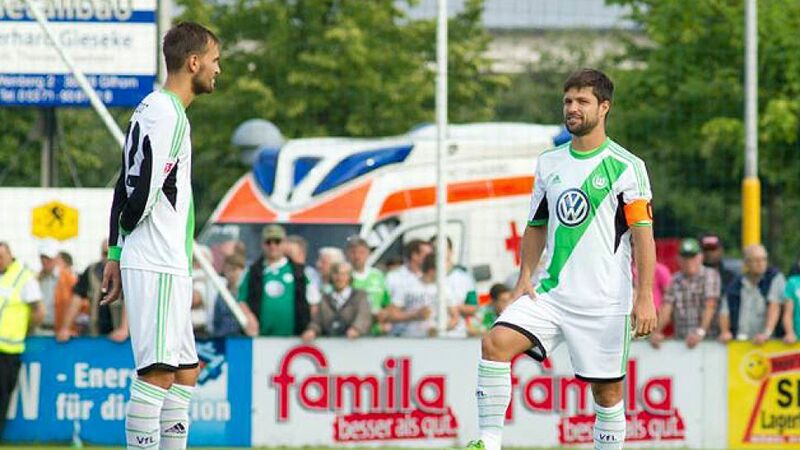 Following a year of transition in 2012/13, Wolfsburg are primed and ready for an assault on the European places. Felix Magath, who coached the club to Bundesliga glory in 2009, had a harder time of things in his second stint at the helm and was relieved of his duties eight weeks into the 2012/13 season. He bequeathed to his successor a club lying bottom of the table with just two goals scored, but he also left behind a squad full to the brim. Sporting director Klaus Allofs, recruited from Werder Bremen last November, had the rather uneasy task of sifting through the list of players as he began to plan ahead to 2013/14. However, the team successfully negotiated the second half of last season to record a respectable eleventh-placed finish after a sequence of ten matches unbeaten. With momentum and new additions on their side, confidence is sky-high. In attack, head coach Dieter Hecking has a selection headache that perhaps would only be as astute at either FC Bayern Munich or Borussia Dortmund. Daniel Caligiuri, scorer of five league goals for SC Freiburg last season, is now a viable option for Hecking in the wing positions, joining talented youngster Maximilian Arnold, Portuguese trickster Vierinha and Croatian international Ivan Perisic. Giovanni Sio is also back at the club after a productive (four goals in 13 Ligue 1 appearances) loan spell at FC Sochaux-Montebeliard, while another promising youngster Tolga Cigerci, loaned to Borussia Mönchengladbach for the past two campaigns, will also be looking to add to his Bundesliga and UEFA Europa League experience with the Foals. Another loan returnee of whom much is expected is South Korean attacking midfielder Ja-Cheol Koo. Two seasons at FC Augsburg have helped the 24-year-old matured into a quality Bundesliga player, and Lorenz-Günther Köstner, the Wolves’ U-23 coach is looking forward to seeing him in action. “Koo has developed very well in Augsburg. He has the potential to be a really good player,” the 61-year-old told bundesliga.com. That said, Koo will have a job on his hands dislodging first-choice midfielder and the team’s creative hub Diego. The 28-year-old scored ten and created seven goals last term and has captained the side in pre-season. “The team doesn’t depend on Diego, but we are that little bit better when he plays,” agrees Hecking, who has a strong alternative at his disposal in Koo. Defensive solidity has been a staple of Hecking's teams and the same looks to be the case in this season. With the departure of Simon Kjaer to LOSC Lille, the 48-year-old raided his former club 1. FC Nuremberg to sign Swiss international defender Timm Klose. Solid for der Club in 2012/13, he could prove be an ideal partner for Brazilian Naldo. Should either of them miss a game, youngster Robin Knoche - another player blooded by Magath– will provide dependable cover, as will Felipe Lopes, an experienced defender who has returned from his loan spell at VfB Stuttgart. Work may yet need to be done to trim the fat on a squad that boasts as many as 30 players, by far the biggest of any Bundesliga club. However, one of the necessities for being successful in the Bundesliga is having strength in depth, and very few clubs stake a bigger claim in that department than Wolfsburg, for whom European qualification is now a far more realistic outcome.